Are You Spending the Weekends Scrubbing? Wouldn't it be Better to Spend Just a Few Hours Sparkling Instead? Did you know we have quite the reputation for our One Time 52 Point Extreme Deep Cleaning Service? Our deep clean is so detailed when we have finished, you will feel like you have a new home. Here's a tip for you at home on how to stop coughs and colds spreading through your home. HOW CAN YOU BE SURE THEY ARE TRUSTWORTHY? Hidden Dangers caused by Grease Buildup in Barbecues and Wire brushes ? Flare-ups due to grease build-up can be more than a nuisance and ruin the food, they can start a fire. Grease collects in your grill and can build up over time if it’s not removed regularly. It is important to keep your Sarasota grill clean so that your food is not tainted and there are no safety risks. So no matter what type of barbecue you use, you need to stop the grease building up. Are you getting headaches and sneezing all the time It might not be allergies Read on..
Crikey, they sound strange. Are they good, being organic or bad, because they are volatile. The EPA recently produced a report on indoor air and the factors that influence it's quality. We all look at an industrial landscape and think the air around refineries and chemical plants must be unhealthy. In fact the air released from most chemical and industrial plants is so heavily monitored it's probably better quality air than you have at home. This is what then EPA wanted to investigate and it's still looking into it....... Read more and look out for the shameless bribe near the end..
We are proud to be official partners with the Cleaning for a Reason foundation and were recently asked to feature with the founder of the Organisation on a radio broadcast. 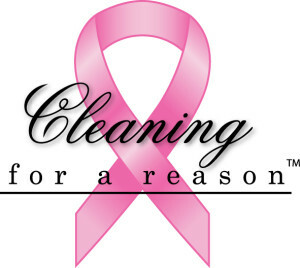 We feel that providing free cleaning services to ladies that are battling cancer is a really practical way we can help. Our clients are always telling us how great it is to return to a clean home so we can only imagine how it must feel returning from therapy knowing the house has been cleaned from top to toe. Follow this link to hear the broadcast.